Sunday was my day off and I spent it in Amsterdam with friends, commemorating 150 years since the abolition of slavery. Right before the end, there was a panel of invited guest to give their view on the heritage of slavery in perspective with the future. One of the guest stood out to me, due to her views on self. She stated that before all, it starts with knowlegde. Knowlegde of who your are, where you come from. When this stage is clear, you will have to accept what you have learned, give it a proper place in order to be able to move forward. In many ways I can relate to her sayings. Not only in regards the heritage of slavery, but in the light of the blog also the confrontation with dominant Western beauty standards. 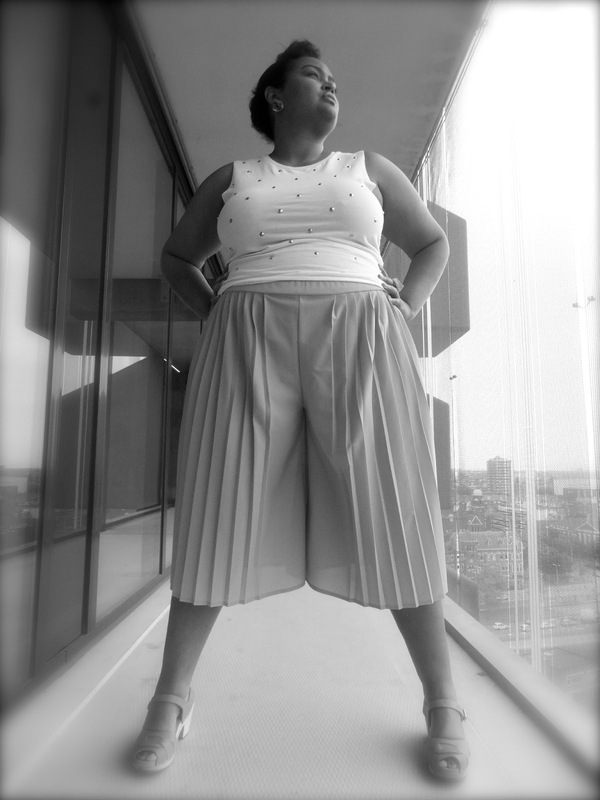 It took me 10 years to accept my size, my thickness, my FAT ... This process of self acceptance is not an easy road, especially if you are bombarded with messages that state you are wrong every day. I find myself choosing each day, to highlight the positive and staying close to my inner self. I can't promise you that you'll never feel hurt or insecure or judged ever again. But I do know you can take charge of your circumstances. You can decide what you do with negative messages thrown at you. "Turn your wounds into wisdom". As human we are a work in progress and it takes time to deal with our personal bias and imagine issues. As a women of many mix races, as a Latina from the Caribbean, as the mother of mix girls; I can tell you that I experience lots of prejudice and put downs and somehow I always told my girls that they are great as they are and if they don't like something about themselves them they should try to change for them not for a guy, not for a job, not to belong to a group and not for what any other person thought of said to them. I so agree with you Ofelia. It is so important to have a positive reinforcement for our young girls. Especially with the media bombarding them with unrealistic views of beauty. Yes; I'm fat. No; I will not put my life on hold until I reach a certain weight. I am doing what I want to do. I wear a swimsuit, I go sleeveless with some pretty fat arms. If people don't like it, they don't have to look. Great post and you look beautiful! Thank you Tovah! It is still beyond me that we live in a world where we are jugded by the way we look. I love fashion but I will never let it define who I am or state my beauty. I applaud your approach to life. So many women are yet not there.